Major challenges exist for hospitals with respect to publicly reported cancer metrics, according to research presented at SSO 2013. Although it would be reasonable to assume that healthcare professionals regularly treat their patients with evidence-based therapies and medicines, healthcare costs may demonstrate otherwise. 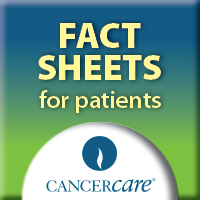 This fact sheet provides resources, organizations, and agencies for cancer patients to seek out financial assistance. New oral drugs are being introduced to the fight against cancer; with them come unique questions involving cost, insurance, and policy. Although only time will tell, C. Andrew Kistler, MD, PharmD, RPh predicts how the Affordable Care Act will benefit cancer patients.